It's easy to think of ways to use social media for B2C marketing. But many B2B marketers, while noting the importance of social media, have still struggled to find their footing in the social media marketing game. What are you supposed to do, throw Farmville sheep at your leads until they realize they do, in fact, need your product or service? Alright, you probably haven't gotten that desperate, but MarketingProfs did shed some light on the issue earlier this week in its post about going B2B on social sites, and I think the topic deserves some serious attention. In fact, eMarketer reports that 52% of US small businesses don't feel they are marketed to by other businesses effectively, while 46% feel they're being "sold" to instead of "spoken" to. You know what a great solution for that problem is? Social media! You know, where you are "social" with people instead of pushing the hard sell? So this post will break down how you can be successful on the 6 most popular social networks: LinkedIn, Twitter, Facebook, Google+, YouTube, and Pinterest. Some won't be too much of a stretch for you, but I think you'll be surprised at the potential available with others! Did you know that LinkedIn is 277% more effective for lead generation than Facebook and Twitter? If you're a B2B marketer, this certainly shouldn't surprise you -- of all the social networks listed in this blog post, LinkedIn provides the most natural transition into social media for many B2B organizations. That's because it's a social network made specifically for professionals! So to ease you into this B2B social media program, I thought it'd be best to start with the social network that has the most natural B2B applications. Check out these ways you can use LinkedIn in your B2B marketing! 1) Share your presentation slides. You already have tons of great content living in your various slide decks, and you don't have a lot of time to create new lead gen content. Why not add a call-to-action in those slides, repurpose them as lead generation content, and share it on LinkedIn? They've actually made it pretty easy for you to do, too. LinkedIn has a SlideShare app called SlideShare Presentations that lets you easily import presentations from your SlideShare account and share the content with LinkedIn members! 2) Get more visibility for your blog with an RSS feed. Visitors to your company page should be greeted with quality content from your business, and LinkedIn makes it easy by letting you provide an RSS of your most recent company blog posts. Use this to drive traffic back to your blog from LinkedIn! 4) Highlight your products/services to a targeted audience. LinkedIn provides dedicated tabs on your company page on which you can promote your products and services. I mean, that right there is one thing you should check off your social media marketing to-do list if you're not already leveraging the space. But you can take it a step further by creating different variations of the tabs and targeting them to your different buyer personas. That means you can adjust your messaging and value proposition for each audience, then target based on information like company size, industry, geographic location, job function, and seniority level! 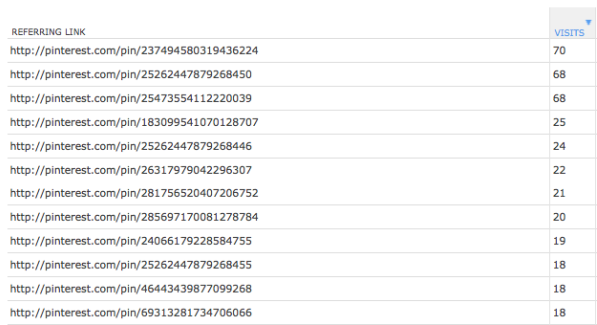 If you need help creating these targeted tabs, take a look at this blog post for an in-depth explanation. 5) Generate leads on your products/services tab. If targeting wasn't enough to excite you, you can actually generate leads on your products/services tab by creating clickable banners (called the Product and Service Spotlight) to fill the space provided. Or if leads aren't your primary goal, get creative! Create a banner that promotes your next event, or you could even work on generating more subscribers for your blog. You can also combine this with the targeting feature we just discussed to create up to three variations of the banner so you can achieve greater relevancy. 6) Email your LinkedIn Group members. If you're managing a group on LinkedIn -- perhaps you've established a group for your industry or trade like we've done with our Inbound Marketers Group -- you can send an email to those group members promoting your latest marketing initiative. LinkedIn allows you to send one email per week to your group. 7) Keep your blog fed using LinkedIn Answers. We've written an entire blog post about how to use LinkedIn Answers to improve your marketing; that's how cool the feature is! LinkedIn Answers is a place for people to ask and answer questions, which provides for great thought leadership opportunity and lets you network with industry influencers. Plus, you can promote your own content when answering others' questions, use the questions people commonly ask as topic fodder for your own blog, and even identify guest bloggers who can do some writing for you! 8) Conduct market research using LinkedIn polls. Did you know that LinkedIn has a polling feature? They do, and the best part of it is, it's so insanely simple to use. Just type in your question, the answer options, the duration of the poll's run time, and hit 'Share.' You can even publish it to Twitter (which you'll certainly be using after you read about Twitter's B2B uses later in this post)! You can post these polls in your own LinkedIn group, or in another group for some seriously niche market research, provided they haven't restricted the functionality to admins only. 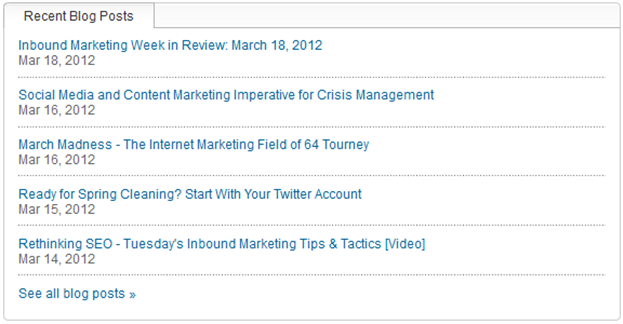 Okay, maybe LinkedIn was obvious for B2B marketers (though I hope you still got some new ideas to try), but Pinterest? What should I do, pin pictures of puppies and wedding dresses? 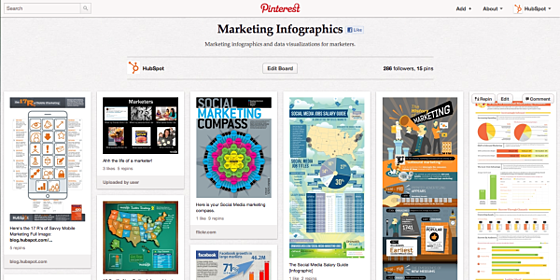 How on earth does a B2B organization use Pinterest to feed its marketing machine? Like this. 1) Pin pictures of your product. Yes, even if your product is "boring." If you haven't taken a gander at General Electric's Pinterest boards yet, head over there for some inspiration! Not all of their boards are product-focused though -- they've actually done a great job leveraging user-generated content with their #GEInspiredMe campaign -- but they also have fun product-oriented boards like 'Badass Machines,' 'GE Garages,' and 'From the Factory Floor.' Showing their product in many different lights gives them the opportunity to gain market share with engineers, historians, and artists with their Pinterest boards, not all of whom would give two hoots about their brand in other circumstances. 3) Pin covers of printed books and ebooks. If you're creating your own lead generation ebooks, writing printed books, or just want to promote great content written by others, you can pin the covers of those books to dedicated pinboards as well. 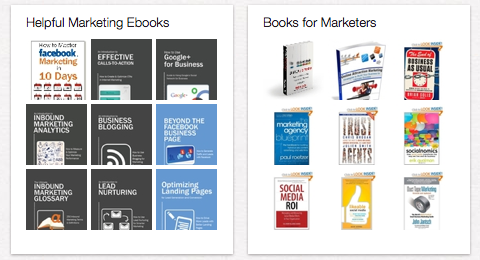 If you're pinning ebooks, link the images to a landing page dedicated to that ebook so you can generate leads. If you're pinning written books, link the images to a page (like Amazon) on which a visitor could buy that book so you're actually generating revenue from your efforts. 4) Drive traffic to your website. With each pin, you have the ability to also post a link back to your website (or elsewhere, if you choose). That way, when someone oohs and aahs over a pin of your latest infographic, they can click back to your website to find it along with, say, the accompanying blog post you wrote when you published it. In HubSpot's own Pinterest experiments, we've found that having many boards with many pins is the best way to drive traffic back to your site. In a two week time period, a single pin only sent a bit of traffic to our site, but the whole of our pins combined sent tremendous amounts! Take a look for yourself. 5) Generate leads from pins. Because you're an awesome B2B inbound marketer (still trying to find the ROI in social, of course), you know all that pin traffic you're generating is useless if you don't actually convert it into leads. Luckily, you can generate leads from Pinterest, too! When choosing the link to associate with each pin, consider choosing a relevant landing page instead of just any web page. For example, we might pull a graph from our 2012 State of Inbound Marketing report, pin it, and then link back to the landing page where the report can be redeemed in order to turn that pin traffic into a lead. And if the image you're pinning doesn't have a landing page associated with it, be sure to include well-optimized calls-to-action on the page to which you're driving traffic to increase the likelihood that Pinterest traffic converts. From purely anecdotal research, Twitter seems to be a bit of a polarizing entity. Some have sworn their sole allegiance to the tiny blue bird, while others think the stream is cluttered, unwieldy, and totally useless. While I have my own opinions for my personal use, this is business we're talking about, and there is certainly tremendous potential to enhance your B2B marketing initiatives on Twitter. Let's learn how! 1) Grow your reach. 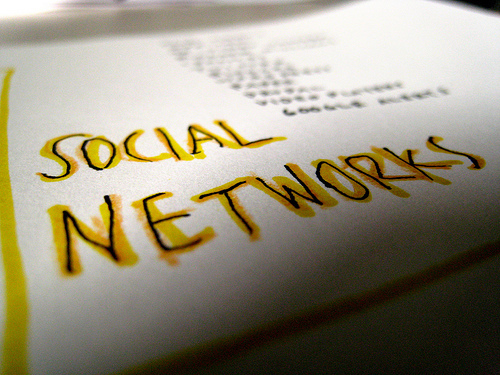 Technically, all of these social networks will help you grow your reach. But Twitter is the easiest way to do it at a high volume, so instead of telling you about it for every social media network, I'm going to focus on it here. But you can apply these principles to every social network you use! Think of reach like the six degrees of Kevin Bacon for social media. It's the idea that your content and influence extends beyond your first degree connections. Sure, they're part of your reach, but so are their connections, and even their connections' connections! It's important because it gets more eyes on your traffic and lead generating content, and gives you more street cred with Google's algorithm. That's right, the more people that share your content, the more authoritative Google believes you are! So follow others on Twitter, and several times a day tweet the blog posts you write, your lead generating offers, and other peoples' content. If you do this regularly, you will expand your Twitter reach and get more eyes on the content that makes your marketing successful. I guarantee it. 2) Ask employees to tweet your content. You can spearhead your company's Twitter marketing alone, or you can amplify the results by getting your entire company involved. This is how you can take Twitter reach to the next level. Let's use HubSpot as a case study. We encourage all of our employees to maintain an active social media presence. As such, an overwhelming percentage of HubSpotters are on Twitter. And you know what happens every time we, say, write a blog post? Hundreds of people tweet about it. And you know what that does? It gets their networks of hundreds and thousands seeing, reading, and retweeting that content, too ... and it takes a matter of seconds to accomplish. Starting to see the potential with Twitter, yet? 3) Grow blog subscribers. Since you'll already be tweeting about your blog content on a regular basis, why not leverage the power of Twitter to also increase your number of blog subscribers? Create a dedicated landing page just for signing up blog subscribers, and use Twitter to publicize the landing page, ideally after you've just tweeted some amazing blog content that helps you make your case! 4) Generate leads on Twitter, too! Yes, you can also generate leads on Twitter. In fact, we've written an entire guide to generating leads on Twitter, specifically for B2B organizations, too! Not only can you craft tweets with your lead generating offers and links to landing pages, but you can also customize your Twitter background with calls-to-action, and even monitor for competitive and industry search terms to find prospects that are looking for your solution in real time. 5) Host a Twitter chat. 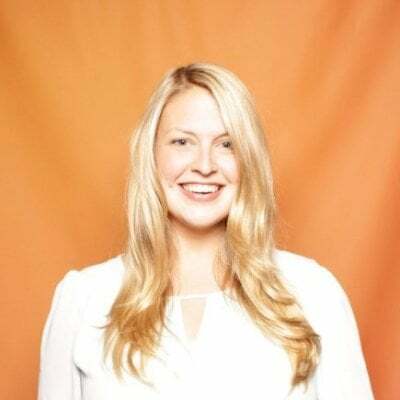 Although currently on hiatus, HubSpot has hosted several Twitter chats that help us generate leads, grow our reach, interact with our community, and expand our thought leadership. Twitter chats are virtual meetings on Twitter, held together by a common hashtag -- ours is #inboundchat, for example. If you're interested in holding your own Twitter chat, check out this blog post for a step-by-step guide to setting it up. 6) Solve customer service issues in real time. Even if you don't want them to, people will use social media as an outlet to air their grievances. You can either be proactive about engaging in that conversation, or let the Negative Nancies control the conversation. We recommend the former. And Twitter is an ideal platform for this because it works in real time! Either set up a separate social media account dedicated to customer service, or simply monitor your Twitter account for problems that may arise, and quickly route them to the appropriate person for a resolution. 7) Use hashtags to generate buzz around live events. If you're hosting an event, use hashtags to communicate on Twitter so attendees can all engage in one conversation together. Not only will their networks see all of the buzz around your event (remember the concept of reach! ), but your attendees will also be able to network, and you'll get real-time feedback from attendees about your event. YouTube doesn't always get a lot of air time in social media marketing discussions, perhaps because not all marketers are equipped with the ability to easily create high quality videos ... or perhaps because you feel like you have nothing to create a video about. While we understand these hurdles, there are still some great ways to use YouTube for those B2B marketers who do have the bandwidth to create video. If you're creating videos for your B2B marketing now, or you plan to in the future, make sure you leverage YouTube in the following ways to make it successful. 1) Publish case studies. You might have case study videos on your website -- we certainly do! Why not create a YouTube account for your company that features those videos, as well? Remember, videos show up in search results, too, and don't forget about who owns YouTube. Their name rhymes with Shmoogle. 2) Take product tours. Case studies aren't the only quality video content a B2B company can create. If you're a product-oriented business, you can also use a video to take your prospects on a little tour that's more engaging than simply reading some copy about what you create. And don't tell me it's too boring ... we create marketing software and found a way to shoot videos showcasing our product! And then, just like your case study videos, upload those bad boys to YouTube, and be sure to promote them via your other social media channels for maximum visibility. 4) Optimize your YouTube videos for search. Like I mentioned, YouTube videos show up in organic search engine results. So if you're at all concerned with SEO (what inbound marketer isn't? ), YouTube is an important part of your strategy. And there's a way to optimize the videos you upload to YouTube that will give you a leg up on your competition, too! Visit this blog post for the full YouTube optimization rundown. 5) And yes, you can generate leads on YouTube, too! I'm starting to sound like a broken record on this social media lead generation, aren't I? But many marketers really are surprised to learn there's lead generation potential on YouTube, and it's because it requires a little creativity. At the end of every video you create, include a call-to-action and landing page URL to direct visitors back to your website to redeem an offer germane to the subject of the video. You can also include links to landing pages in the video description section on YouTube, and if you want to put a little paid muscle behind your videos, experiment with CTAs using YouTube's overlay ads! I know I said Twitter was a polarizing entity, but maybe I should have reserved a little of that sentiment for Google+, too. Despite all of the hoopla surrounding the launch of Google+ brand pages last fall, many marketers have resisted spending time on the social network. We've even written a blog post evaluating whether it really is worth your time. But even if you're not a believer (hey, not every social network is right for every marketer), there is still plenty of potential for B2B marketers. If you decide to spend some time marketing your business on Google+, here's how you can do it successfully! 1) Livestream a Hangout! Just this week, Google+ finally started rolling out Hangouts on Air to everyone. That means you can easily hang out with up to 9 people using the video function on Google+, and you can livestream the hangout for all the world to see. How do B2B marketers get some leverage out of this? You're limited only by your creativity, but we also provided a great tutorial along some great ways to put it to use here, which include company announcements, webinars, industry expert roundtable discussions or interviews, virtual conferences, livestreaming in-person events, user groups, and Q&A sessions. 2) Use Circles to target your content. Many B2B marketers are reticent to join social networks because they don't want to bother people with content that isn't relevant to their entire audience. After all, you might have multiple product and service lines that overlap barely, if at all! But Google+ has helped remedy this with Google+ Circles. Circles allow your followers to identify what type of content they are interested in, so instead of blanketing your entire follower base with content that is only relevant to just a fraction, you can publish content to specific Circles that contain followers interested in that subject matter. 3) Get your content more visibility in search. Just as your YouTube videos can show up in organic search results, your content can also get much more organic search visibility using Google+, since Google started incorporating content shared on its social network into the SERPs. As such, you should add the +1 button to the content on your site so others can share it with just the push of a button, and begin sharing your content regularly via Google+ status updates to increase the likelihood you appear in organic search results for related search terms. I thought I'd leave the sheep-thrower for last. Facebook: the one that started it all! It was once just for college students, then it expanded to the rest of Generation Y, and now your grandma is friend requesting you. And you know what? B2B marketers shouldn't be missing out on it! Here's how you can turn what started as a friend-to-friend social network into a business-to-business one. 2) Optimize for lead generation with pins and stars. When you do publish your lead generation content to your Timeline, get it even more visibility using pins and stars. Pins allow you to anchor one update to the top of your Timeline for up to 7 days, and stars have the effect of expanding the update so that it takes up more of your Timeline real estate, drawing more eyes to the lead generation offer. This not only results in more leads, but also more engagement from Facebook fans, which is crucial to getting your updates into users' news feeds, according to Facebook's EdgeRank algorithm. 3) Build an industry community. Now that you know how to generate leads for your business on Facebook, consider building an industry community to convert! The B2B community is full of people trying to be better, faster, and stronger than their fellow employees, higher-ups, and industry competition. Establish your Facebook page as the place to get the information that will help them do that. Publish educational content from yourself and others, publish new research (you can even publish those fancy charts and graphs you created for your Pinterest boards! ), and pose provocative questions that will get your audience thinking and talking. If your Facebook fans recognize you as the go-to place for information in your industry, they will eventually become your customer or refer others your way -- because you're the best out there! 4) Use Facebook for networking. LinkedIn isn't the only social network that can help you expand your professional network. B2B organizations often rely on in-person events like conferences and trade shows to network with the right people, and Facebook's location-based services can make you even more successful in these endeavors. Next time you attend an event, promote your presence by checking in on Foursquare, Facebook Places, or your other favorite location-based service so others within your Facebook network are alerted to your presence. What a great way to not only stand out from the crowd, but also find others to connect with (many that you may have only spoken to through your Facebook Timeline until this point)! 5) Make use of Open Graph. You know when you see an update that says, "Bobby McGee read 10 Reasons Lady Gaga and Newt Gingrich Should Get Married on The Washington Post" and you are prompted to let an app access your profile before you can read the article? That's a result of Open Graph, which has allowed third-party developers to create apps that show a user's engagement with the app on Facebook. Develop an app of your own to get your brand more visibility on Facebook. You could create a customer testimonial app, a customer achievements app, a content library app to promote your amazing content, or even a free trial app to get customers using your product! 6) Create Facebook coupons. You may have heard that Facebook is testing coupons with ecommerce and brick-and-mortar businesses. If your B2B falls into one of those two buckets, soon you'll be able to not only create coupons for your customers on Facebook, but also leverage Facebook advertising to pay for more visibility for those offers! I'm certain there are more B2B applications for marketing on each of these social networks; share your ideas in the comments!